With a payback in less than a year, Kourier Integrator has been one of the best technology purchases the company has made. Want to Unleash Your Prelude Data? Kourier Integrator with SQL Accelerator will put you on the fast track to better Prelude reporting and business intelligence. Kourier Integrator is the easiest, most flexible, and reliable technology for integrating your Prelude data with Microsoft SQL Server. Everything you need to quickly define and manage a SQL Server data warehouse is included, starting with a pre-configured Operational Data Store (ODS). Kore's ODS for Prelude has pre-defined data mappings for many commonly used Prelude files. And by using Kore's Net Change Technology, your data warehouse is updated in near real-time, enabling you to create time sensitive reports and dashboards for your business critical data. 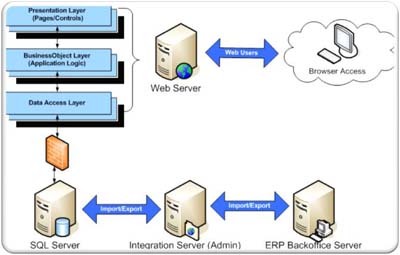 Kourier Integrator is a fast, effective, and reliable integration solution. In most cases your data warehouse can be up and running in less than a week using Kore's Fast Track Implementation program! Other Prelude companies have already chosen Kourier Integrator and Kore's ODS for Prelude to improve their reporting and business intelligence. What are you waiting for? See Kourier Integrator in Action! Why use an ODS? Because you will have faster, easier access to your Prelude data when it's in a normalized Microsoft SQL Server data base. You will also have far more choices for your reporting and business intelligence software too, including: Rocket Software CorVu, IBM Cognos, Microsoft Excel, Microsoft Reporting Services, and SAP Crystal Reports. The Prelude ODS is ready to use and includes everything you need to create and maintain a Microsoft SQL Server data warehouse, and it's customizable and extensible to meet your needs. Your Prelude ODS is always up-to-date because Kore's "Net Change" technology constantly monitors the Prelude database for any changes, and then performs optimized, near real-time updates to the SQL database using Microsoft SSIS technology. The result: high performance and scalability with guaranteed data delivery. See the Kourier Integrator home page for more information.